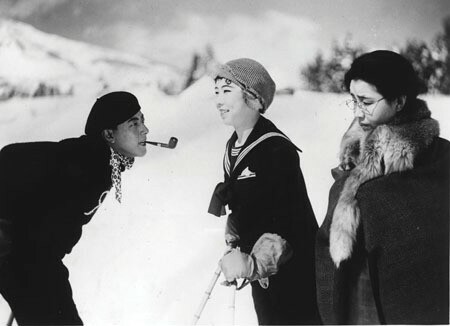 The Student Comedies is a DVD collection of some of Yasujiro Ozu’s earliest feature films, all part of the ‘student-comedy’ genre, popular in Japan at the time (the late 20’s and early 30’s). The films include Days of Youth (Wakaki Hi), I Flunked, But… (Rakudai Wa Shita Keredo), The Lady and the Beard (Shukujo To Hige), and Where Now Are the Dreams of Youth? (Seishun No Yume Ima Izuko). Below I give brief reviews of each feature and look at the set as a whole. 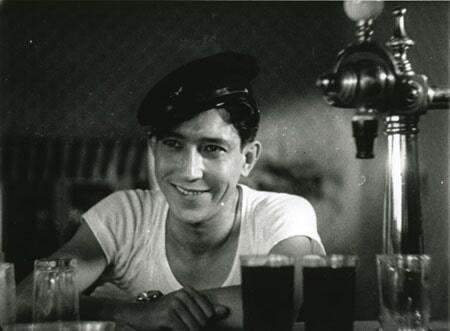 Ozu’s earliest surviving film and his first feature length film as director, Days of Youth follows two student friends as they (at first unknowingly) chase the same girl. One is a glasses-wearing bookworm, the other a cheeky prankster who will pull any dirty trick he can to get the girl. These come to a head when the three of them take a skiing trip together. Like most of the films in this collection, Days of Youth strikes an odd but successful balance between gag-comedy influenced by the Hollywood comedies Ozu loved and mildly melancholic drama which suggests the direction he would take in his later years. 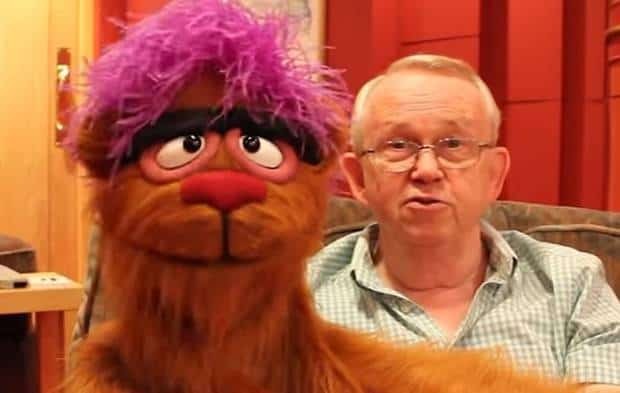 The film isn’t one of his masterpieces it must be said. The artistry and subtlety the director is famous for is in it’s fledgling years, but nonetheless there are signs of future genius in the film. Although not nearly as funny as the silent comedies of Lloyd, Keaton or Chaplin (Ozu’s cast don’t have the charisma or comedic prowess of these legends), the film does have a human and naturalistic element that most cinema of the time lacked. Visually there are a couple of nice touches too, with some early use of his famous low angled static wides and signs of his careful framing, although there are a fair amount of conventional Hollywood techniques on show too. So it’s an interesting glimpse into how the great master started out, but taken on it’s own is not much more than a simple yet charming diversion. I Flunked, But… begins with Takahashi and his friends slacking off in their final years at college, finding ingenious ways to cheat at their exams in order to get through. However, when one trick fails the group have to face the harsh reality of flunking out. During an economic depression life is tough and the group long for their carefree college days. Even more than in Days of Youth, this slightly later effort from Ozu markedly changes from goofy comedy to touching drama halfway through. For me, this was the more successful film. There are some nice touches in the early comedic scenes such as when the group use an over the top technique to order bread from the local bakery – shooting a cap gun to get the baker’s attention then using limbs and props to spell out the word ‘bread’ in shadow through the window. Then later on, some of Ozu’s poetic use of the cinematic format starts to shine through a little. There are some touching scenes that use body language to show emotion – including a number of close-ups of feet to show a character’s mood or mindset, a technique that is used throughout the films in this collection. I also loved the scene after Takahashi finds out he has flunked where he eats rice with his family, with Ozu using the rhythm at which they eat to signify the tension and mood of the scene. It’s still pretty light stuff and the end was a little unsatisfying, but there are enough signs of Ozu honing his craft and elements of humour and poignancy to make this a recommended watch. In The Lady and the Beard, graduate Okajima struggles to get by in modern Tokyo due to his old-fashioned beard and traditional ways. Along the way he falls for a girl who works at a bakery and is followed by a gangster’s moll who he saved the girl from early on in the film. I didn’t get much from this film it has to be said. It felt quite uneven, jumping around a lot with little narrative flow, and several plot points didn’t make sense to me at all. Much might be lost in translation, but when Okajima takes the moll back to his place, his intentions are very unclear and the whole scene ends very bizarrely. There are less traces of any of the poetics or naturalism from the previous films either, instead feeling like a bit of a rush job. Coming across as a sillier film than the others, The Lady and the Beard has it’s moments, but not enough to keep you all that engaged. Where Now Are the Dreams of Youth? opens similarly to I Flunked, But… with wealthy student Hirano and his friends taking the easy route through college, cheating their way through exams and goofing around outside of school. However, a year before graduation, tragedy strikes as his father dies and his successful business is passed on to the young layabout. The rest of the film looks at how this inexperienced youngster struggles to adjust to adulthood and the strain being ‘the boss’ has on his friendships and relationships. 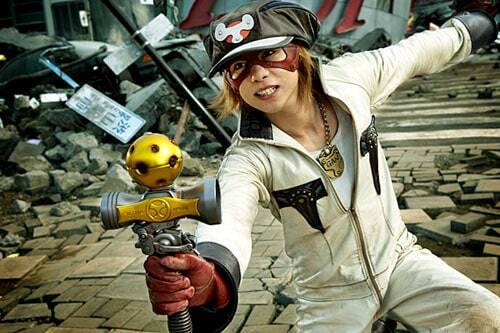 This was the strongest film of the set for me. The comedy, although still not hilarious, is more effective here, with a great scene early on where Hirano and his father try to put off his aunt from setting him up with an ‘overly modern’ young lady for marriage. Again the film turns into a drama as it goes on though and these elements impress too, building to a surprisingly intense showdown before ending on a (slightly bitter) sweet note. As in I Flunked, But… there are more examples of using close-ups of hands and feet to tell the story to an extent. There are some lovely shots too, with Ozu making good use of depth within the frame and using movement and match-cuts very effectively. It’s a bit too melodramatic to match up to the director’s finest work, but Where Now Are the Dreams of Youth? is the best example of his skill in this collection and it’s also the most consistently engaging and interesting. The Student Comedies DVD collection is out on 20th February, released by the BFI. The four films are spread over two discs (with quite short running times this doesn’t effect the quality too much). The quality of the picture on the films varies. Where Now Are the Dreams of Youth looks great, with barely a blemish in sight, but The Lady and the Beard has a flickering cloud of white over most of the film which annoyed to begin with, but I got used to it as the film went on. Of course with films this old and rare the very fact they are in existence is commendable – the BFI have clearly done the best they can in restoring the films and even the weaker moments are acceptable to watch. There are newly commissioned scores on all the films by Ed Hughes, featuring The Camilleri Trio and Richard Casey. These are quite modernistic and interesting, but I found them a little repetitive and obtrusive at times. It seemed odd having constant music blaring out during an Ozu film, even his lighter early work. You can choose to watch the films with no score, although a totally silent film would be too eerily quiet for me. 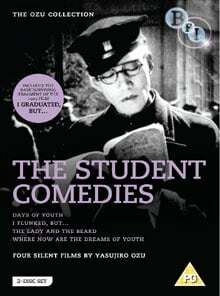 Also included in the package are the remaining 11 minutes of I Graduated, But…, another early student comedy from Ozu. This is an interesting watch and actually works as a short film with a clear arc still remaining, but it’s not as fulfilling as the features by a long stretch. 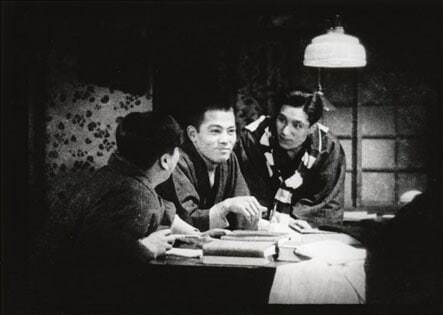 Added to this is a 20 minute excerpt from a talk by Japanese Cinema expert (and DVD extra regular) Tony Rayns, who discusses Ozu’s early work and influences. This is very interesting and concisely presented by Rayns who is always engaging to listen to. On top of everything is a fantastic 30-odd page booklet which contains essays and thoughts on Ozu’s beginnings and the films present in the set. This is an interesting read and helps to better appreciate the films and their standing in Ozu’s ouvre. Overall the films are mostly solid, not mind-blowing, but as a thorough look into the beginnings of one of cinema’s most well-respected directors it’s a highly worthwhile purchase. Fans of Ozu’s later work especially owe it to themselves to add this to their shelf. I’ve always wanted to see these movie, and am glad they’re finally available. Nice to see you perusing Blueprint: Review Matt, I’ve been a follower of DTV Connoisseur for a while. They’re not on the level of his later work, but they’re well worth a look, especially Where Now Are the Dreams of Youth. The set itself is interesting too – the leaflet gives a fascinating look at Ozu’s early years as well as the piece with Tony Rayns.